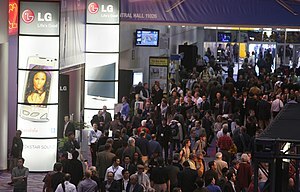 The 2011 International Consumer Electronics Show was too big to fit into one show. So, we are going to revisit CES 2011 for some of our favorite consumer products. LG appliances and TVs, keeping gadgets (and everything else) charged with Powermat along with Sony‘s 2011 line up are in this week’s show. Our Week In Review is new and so are the interviews. Is 3D in your home theater’s future? Maybe without those silly glasses …maybe when the prices come down a little more… maybe when pigs fly? Listen to this week’s show before you make a decision.